The press release is one of the most powerful tools in the marketing arsenal of any company, large or small. It levels the playing field and, when developed and executed correctly, a good press release can be highly efficient in scoring both short-term exposure and long-term results. However, many companies either don’t use them or don’t tailor their releases in a way that ensures success, which may be preventing them from getting the most exposure possible for their news. 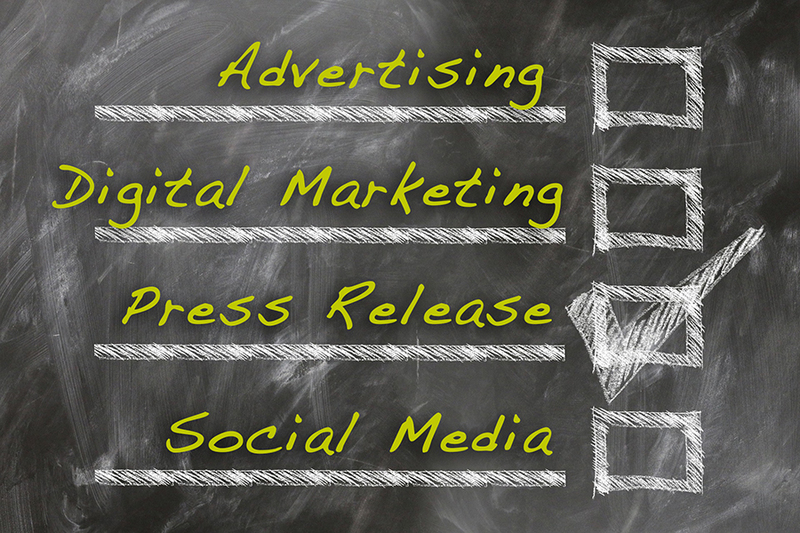 We’ve compiled a quick checklist that we follow for every press release we write and distribute, to give you an idea of how an effective release should work and what you can do to make sure you’re getting the most out of your news. The rule of thumb in real estate is, “location, location, location!” The equivalent in PR is “relevant, relevant, relevant!” For a compelling headline, think in these terms: what is relevant about what you want to tell them, once you’ve got their attention? Don’t be afraid to get creative with your headline and make it exciting, but more importantly, make sure your news is actually news, not advertising or “salesy” copy – and make sure it’s clear and to the point. It’s your only chance at a good first impression – and to get them to read the rest of your news. Relay the most important information in the first paragraph. That way if the reader doesn’t finish your entire release, they still have all the information they need to understand what you’re telling them. While brevity is important, there are going to be times where you’ll have a lengthy release, just make sure it’s appropriate for the story you’re trying to tell and you make your point early on in the copy. It may be an overused phrase, but that doesn’t make it any less true. With more and more studies showing that the attention span of a human being is now shorter than that of a goldfish, you don’t have much time to catch your audience. Visual cues hook readers more quickly than words. Plus, images are also important in securing editorial coverage, as most outlets won’t post your release at all without an image to go along with it. Always write your press releases as though you are explaining your business or product to someone for the first time. Never assume your audience knows who you are or what you do. When drafting your release, try to think of yourself as the consumer or your target market. Will they understand the business jargon you’re using, or is there an easier way to relay your information without confusing them? You might think you know what constitutes newsworthiness, but what you find exciting about your business or product may not have any impact at all on your target market, or the media you want to gain coverage from. That’s normal and natural. We call it being “internalized.” You have to put yourself in the shoes of your market, however, and ask yourself: is your news recent, influential or important? Does it present a new concept or touch on the interests of your audience? If you can’t connect what you want to announce back to any of these, you might want to reconsider if your release is relevant. Yes, there’s that word again! This is the accepted, standard writing style for PR and marketing to create consistency across the board for both businesses and the news outlets receiving their announcements and written materials. Distributing a press release that is not written in AP style can make you look like an amateur, untrained in the business of marketing, or simply someone who doesn’t care about the details. Equally as important to the news you are announcing, is your call to action. Whether it’s to visit a website, download a new app or encourage readers to buy your product, your press release should have very clear messaging about what your expectation is of your audience. Be concise and to the point, and you’ll have no problem convincing them to act. We understand this is a lot to take in, but that’s what we’re here for. As PR specialists it’s our job to be expert writers, with professional experience in press release writing that ensures your release will receive maximum coverage and maximum results. With a specialty PR firm, your releases are guaranteed to not only be written in a way that speaks to your target market, but in a way that will encourage journalists to actually post your content, which is the whole point of PR. Since editors receive an outrageous number of emails daily from people and businesses trying to get their news published, having a seasoned professional on your side who may already have those relationships in place will guarantee that your message is heard. Need assistance in the development of your next press release? Contact us today for an assessment of your PR initiatives.